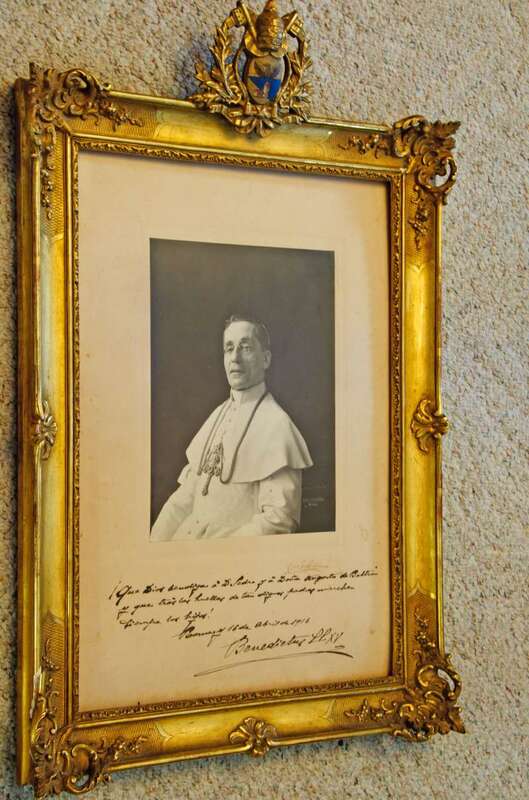 A Portrait of Pope Benedict XV in a Presentation Frame Containing both His Signature & Coat of Arms. 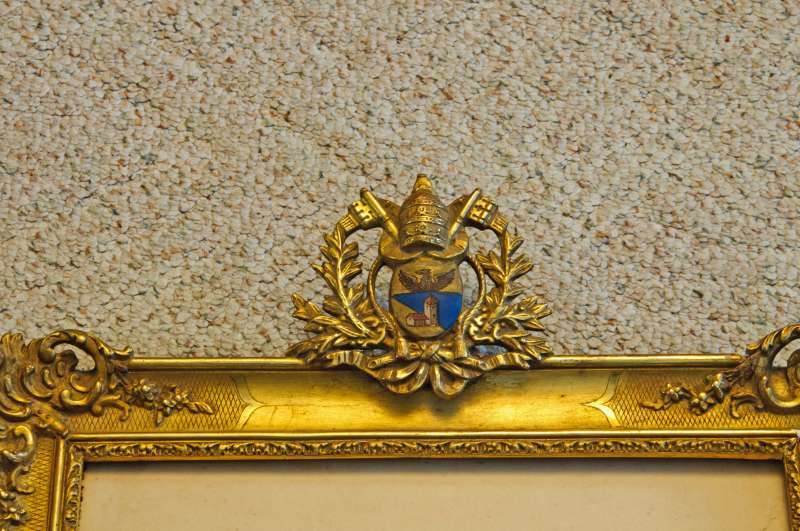 This is a very rare Presentation Frame from Benedict XV. Presentation Frames are framed photos that were given by the pope as gifts. The frames themselves are what make them particularly interesting, because they are always emblazoned with the coat of arms of the current pope. 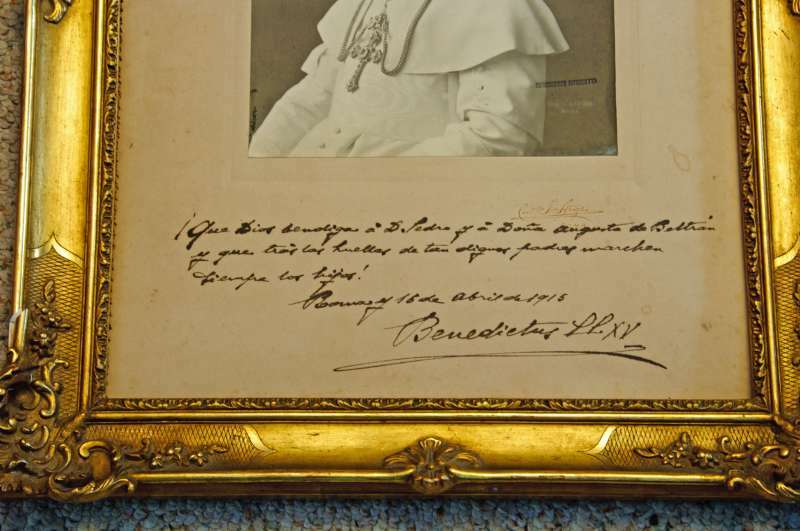 This one, because it is Benedict XV’s, makes it very rare, because he is known to have very few things associated with him as souvenirs or even as blessings signed by him. Artifacts belonging to Benedict XV are considered to be among the rarest among 20th century popes. 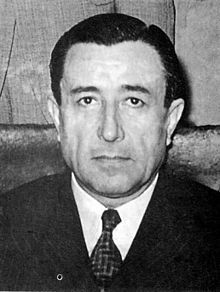 Don Pedro was a well-known Peruvian businessman who owned the newspaper, La Prensa. He was the ambassador from Peru to the United States in 1944. He was also the president of the Central Reserve Bank of Peru. This is a very desirable item in the Papal Artifacts Collection.